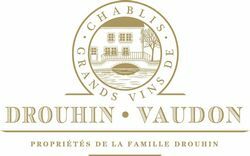 Site: One of the most famous Premier Cru Chablis, Fourchaume is the exact extension to the north of the Grand Crus. Plantation density: 6 250 stocks/ha. Yield: we aim for a lower yield in order to extract all possible nuances from the terroir. Supply: grapes and musts purchased from supply partners. Very slow pressing so as to respect fruit. "A dry and brisk wine, typical of Chablis. Brilliant yellow-green colour. The aromas are reminiscent of lemon, citrus, asparagus...On the palate, the first sip offers is clear-cut and fresh impression, with a nice texture. Long on the aftertaste, with fruity as well as mineral flavours; becomes slightly honeyed when the wine is more evolved". Good evolution. They still show a nice balance. The aromas are now mingling with briny flavours and notes of white honey. Cellaring: 3 to 8 years.